Managed services are a way to handle the information technology portion of your business. A third party takes responsibility for maintenance and repair. These managed print services take a proactive approach instead of only stopping by when a problem surfaces. A managed service provider can offer services and management solutions for storage, desktop, hosting, mobile devices, scanning, and printing services. Take responsibility for all products and pages that your staff prints both in the office and on-the-go from their mobile devices. Did you know that printing costs can equate to almost 15 percent of your total annual budget? 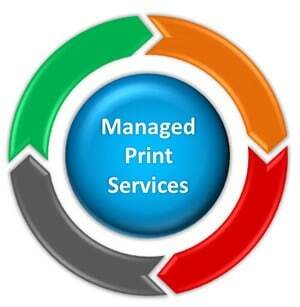 Using the managed print services Atlanta has to offer, you can save up to 30 percent on your overall printing costs. We offer our customers these services along with many others. If you’re ready to lighten your workload and give MPS a try, call us today at 800-537-0669. Our managed print services can help make your business more efficient, cut costs, and allow your staff to focus on other important tasks.